It gets cold in the winter in most areas, and you’re going to need some winter clothes to get through. College students are often on a budget, and the most important article of clothing is a jacket or coat — especially if you’re outside a lot watching a game or walking to your dorm room. Here are the best winter coats on Amazon for college students. This Parka is a stylish long coat that goes well with any nice winter outfit. It comes in eight colors and five sizes, so you’re sure to find the one you want. The care instructions say to hand-wash and dry clean, and it’s made of cotton, fleece, polyester, polyester, and spandex. 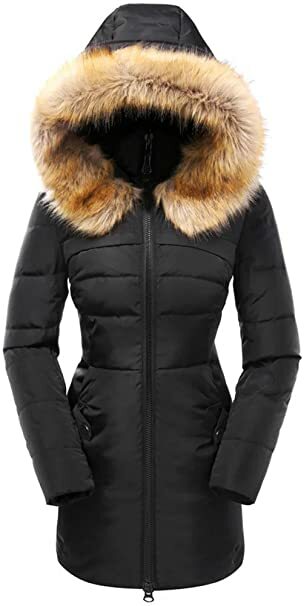 Its popular style has a zip-up front and fur-lined hood. It matches well with jeans, leggings and stylish winter boots. There’s also an adjustable drawstring around the waist, to make it more form-fitting. It’s soft and lightweight. You can find it on Amazon. On Amazon, it has a 3.5 out of 5-star rating. Keeping with the same style as the prior coat, this knee-length coat is soft and incredibly warm, and it’s sure to keep you toasty on the coldest days. While it’s more considerably more expensive that the previous one, it’d make a great winter gift for a woman in college. With seven colors and nine sizes to choose from, it’s a down coat with a fur-lined hood. It’s windproof, against water splash and ultra soft. Reviews say that it is true to size and excellent quality. It would match well with a stylish outfit, leggings and winter boots. You can find it on Amazon. On Amazon, it has a 4 out of 5-star rating. This men’s jacket is waterproof and comes in 12 colors and six sizes. It’s durable, water-repellent coated and has a fuzzy lining. It features adjustable cuffs with a thumb opening to seal in the warmth, and it’s perfect for those rainy days. It’s a great ski coat, as it won’t let wet snow or rain onto your dry clothes underneath. It has a 4-star rating and reviewers say it can work well on either men or women. This jacket is 100 percent nylon with down filling. It’s lightweight and super warm, and it puffs up within two hours of removing it from the packaging. It comes with an included pouch that you can pack it down into for traveling. The care instructions say to hand wash with cold water or dry clean and do not twist it dry. This women’s coat is hip length. Multiple colors are available on the site. It has a 3.9-star rating and reviewers say it’s a warm coat without the hassle of being too bundled up. It matches well with skinny jeans and winter boots for a stylish look, or you can dress down to warm leggings and shoes. It would also look especially great with Doc Marten-style boots. 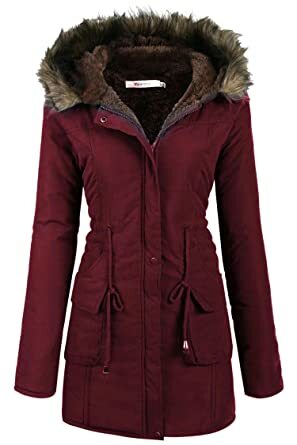 You can find this coat on Amazon. On Amazon, it has a 3.9 out of 5-star rating. This artificial fiber and fur coat has a sweater pocket and is stylish and casual. This is perfect for those lounging days or for a dash to go grab the coffee. It matches well with leggings or other athleisure wear or jeans. And the great thing is if you don’t like it, you have a 30-day, 100 percent money-back guarantee with the company. 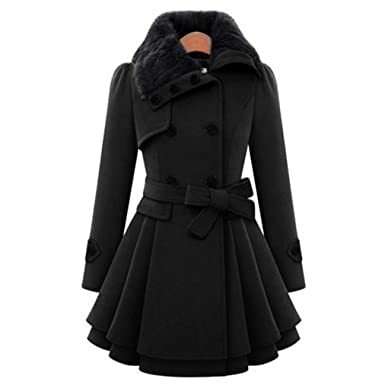 This coat has come in 16 styles with six sizes available. Find it on Amazon. On Amazon, it has a 4.2 out of 5-star rating. This warm men’s jacket comes in 15 styles and five sizes, and it’s sure to keep you looking stylish but feeling toasty. It has a zipper closure and an amazing eight pockets, perfect for fitting any necessary items on the go. With fur inside and a fur-trimmed hood, you’ll look and feel great. It reviewers say it’s comfortable and fits near perfectly. Here you can buy it- Amazon. On Amazon, it has a 4.1 out of 5-star rating. 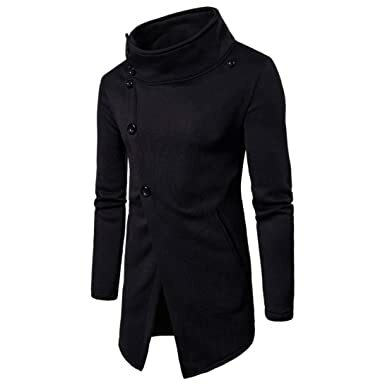 If you’re looking to stay warm but look dressed up and stylish, this peacoat is the perfect choice at a low price. It’s made of a polyester and cotton blend, it has a button closure, and it matches well with jeans. The company notes that if you have a wider waist than the chest, the coat may fit too snug. It reviewers say it’s better than expected for such a low price. You can buy it on Amazon. On Amazon, it has a 3.1 out of 5-star rating. This peacoat is slick and stylish, it’s perfect for someone wanting to dress up and go out in the winter. It has a button closure and modern style, but the company notes that it runs small. There are five sizes and four colors. The coat is made of cotton and wool, and it balances a nice warmth with a chic look. You can find it on Amazon. On Amazon, it has a 1.7 out of 5-star rating. 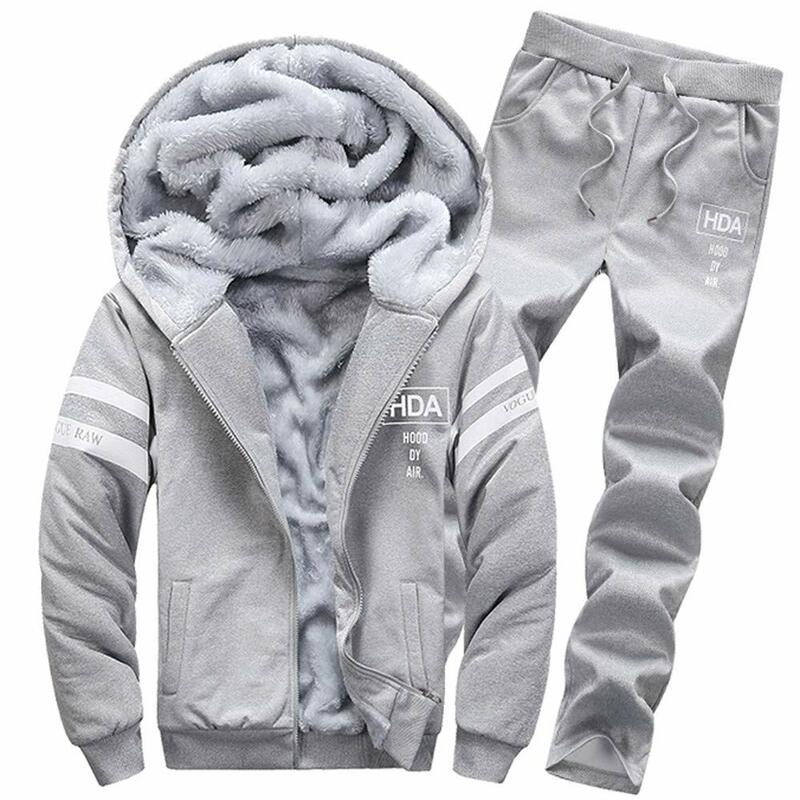 This hoodie and pants set is perfect for when you need to get a workout in, even when it’s cold outside. It has a 3.1 rating and Amazon customers who bought it note that they run small, and the measurements may be inaccurate — so make sure to buy it at a larger size. There are six sizes and seven colors to choose from. Another thing to keep in mind is since it runs a bit smaller, women can consider buying it for their winter fitness routines as well. Find it on Amazon. On Amazon, it has a 3.1 out of 5-star rating.